The Bosnian-Herzegovinian Film Festival (BHFF) in New York City announced the winners of the Golden Apple Awards for the 16th annual event with Bobo Jelčić ’s ALL ALONE winning the BHFF 2019 Golden Apple Jury Award for Best Feature; and Bojan Bodruzić’s THE MUSEUM OF FORGOTTEN TRIUMPHS won the BHFF 2019 Golden Apple Jury Award for Best Documentary. Marta Hernaiz Pidal’s THE CHAOTIC LIFE OF NADA KADIĆ won the BHFF 2019 Golden Apple Audience Award for Best Picture. Bobo Jelčić ’s ALL ALONE won the BHFF 2019 Golden Apple Jury Award for Best Feature. 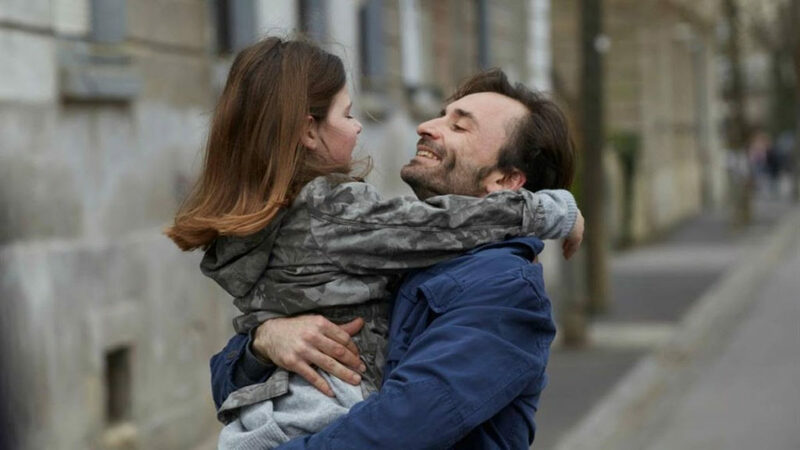 ALL ALONE, which follows a recently divorced father attempting to navigate bureaucratic and legal red tape in his efforts of increasing custodial time with his daughter, stays true to Jelčić’s distinctive style of depicting intimate family stories and the way they connect to and are influenced by the larger social structures. BHFF 2019 Jury statement: The film ALL ALONE delicately draws the audience within complexities of intimate space through portraying a common man’s struggle with bureaucracy. The film speaks in a subtle way about the obstacles that a common man faces in a highly intense social situations. Bojan Bodruzić’s THE MUSEUM OF FORGOTTEN TRIUMPHS won the BHFF 2019 Golden Apple Jury Award for Best Documentary. After being evacuated as a child in 1992, Vancouver-based filmmaker Bojan Bodružić returned to Sarajevo in 2000 and began to film his grandparents, in what became THE MUSEUM OF FORGOTTEN TRIUMPHS. Charming and spirited, the elderly couple share their experiences, starting with WWII and ending with the Bosnian War, even insisting that their grandson finish the film as they fall ill in their twilight years. BHFF 2019 Jury statement: The author of this beautiful film portraits lived past of his grandparents trough nostalgic, reflexive and personal engagement. This intimate film is much more than a story about a family; it is a meditation on dramatic times the previous generations lived through and the future to come. Ado Hasanović’s NOMOPHOBIA won the BHFF 2019 Golden Apple Jury Award for Best Short Film. NOMOPHOBIA offers an unflinching look at the conflict between a mother and daughter, and explores the broader issue of generational gaps between parents and their children. With a dramatic ending, the film leaves us with probing questions about the challenges of coming of age in the era of modern technology and social networks. BHFF 2019 Jury statement: NOMOPHOBIA by Ado Hasanovic delivers the convincing and passionate story about the alienating effects produced by the contemporary society’s illness defined as the fear of being left without the cellphone. Special quality of this film is it’s visual precision and capability of capturing the key moments of this addiction, through the visual cinematic twist. Rakan Rushaidat won the BHFF 2019 Jury Award for Best Acting Performance for his role as Marko in Bobo Jelcić ’s ALL ALONE. BHFF 2019 Jury statement: Rakan Rushaidat’s role is a backbone of the entire film. He delivers a subtle and delicate performance that corresponds with overall energy of this film. The BHFF 2019 Jury Special Mention went to Zdenko Jurilj’s SISTERS, a visually striking documentary that recounts a harrowing ordeal that two teenage sisters went through decades ago in Bosnia when they found themselves stuck in a snow-covered canyon for eight days. Through evocative reenactments and the sisters’ own vivid narration, the film viscerally depicts their miraculous struggle to survive, and their will to live. BHFF 2019 Jury statement: Zdenko Jurij’s documentary film SISTERS delivers an atmospheric setting that acts as an anaesthetics for psychological and physical traumas the two women endured. The film’s cinematography contributes significantly to its poetic take on courage, endurance and success. Marta Hernaiz Pidal’s THE CHAOTIC LIFE OF NADA KADIĆ won the BHFF 2019 Golden Apple Audience Award for Best Picture. Marta Hernaiz Pidal’s film is a moving drama that seamlessly blurs fiction and documentary in chronicling the life of a single mother whose young child is diagnosed with autism. Social stigma, lack of appropriate medical care, as well as absence of meaningful institutionalized support for such families is explored through an intimate portrayal of the everyday life and struggles of Nada and her daughter Hava, who find solidarity in unexpected places and small yet meaningful acts of kindness. The Chaotic Life of Marta Kadic is a courageous journey into the minds eye of a mother and daughter through stunning use of artistic visuals and sounds. Marta Hernaiz Pidal won the hearts of the BHFF audience and joins the list of some of the most respected Bosnian and regional filmmakers that includes the likes of Jasmila Zbanic and Danis Tanovic who have won the BHFF audience award over last 16 years.